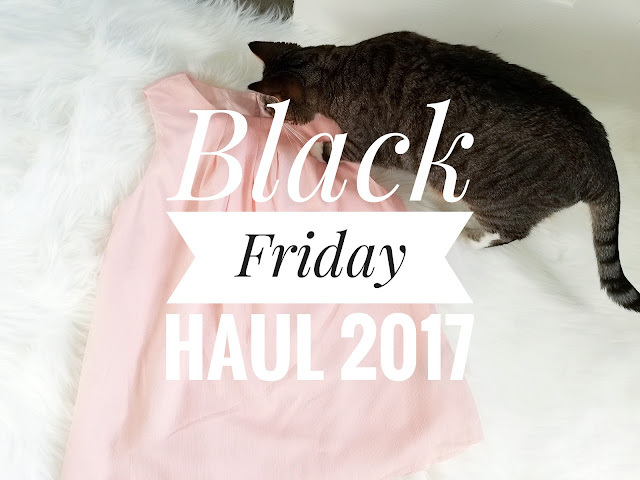 xo ♥ amela: Black Friday Haul! If you know me, you know I love when there are good deals. Don't get me wrong, I know when a deal is not good and Black Friday deals are not the best. Yes, there are deals that are good, but it's definitely not the time to start splurging all your money because to be honest, there are other times of the year where sales are actually much better. For example, winter coats are on sale during the beginning of summer; Companies are trying to get rid of their old seasoned clothes and making room for the new season ones, so the old clothes go on sale. I assure you, if you're in need of a winter jacket, Black Friday is not the time to get one. It is, however, time to browse around and see what is on sale. Many department stores are putting discounts on certain items and some of them are worth having. 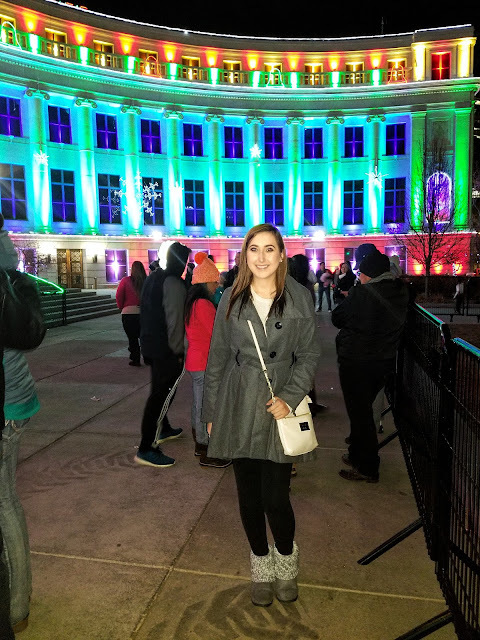 For example, the navy Lace-Up Tunic Sweater I mentioned in my sweater post, I initially paid $17.99 for it, yet I saw it on sale for $9.99 for Black Friday. 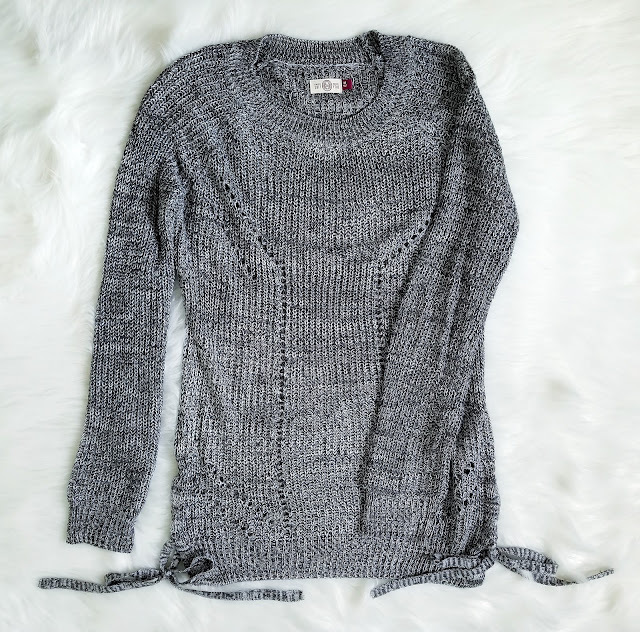 I ended up purchasing another one in another color, called Dark Gray Heather. 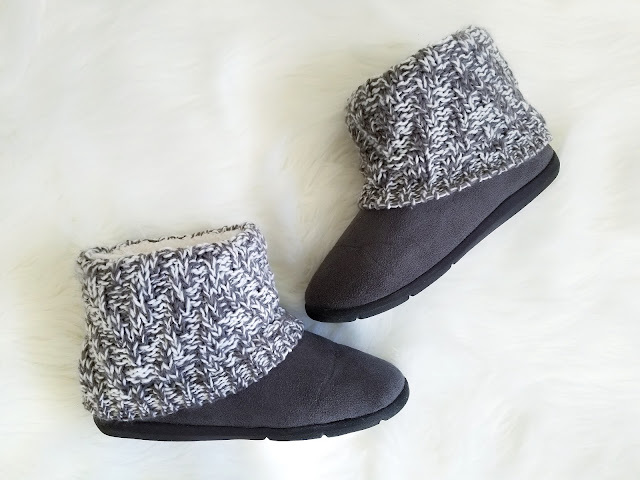 I also bought Sonoma Goods for Life™ Women's Knit Shaft Boot Slippers in the color Gray. These are meant to be used as slippers but I think I will wear them to the office because they are just so cute (& my job is pretty laid back with what we wear). I would say these look like the Ugg boots, just a different company. I wanted to get a pair ever since I saw my coworker wear hers with her gray leggings. I think they would match up perfectly. I also sprayed them with Scotchgard Suede & Nubuck Protector that I had used with my Ugg boots back in 2015 so they don't get soaked if it rains. I ended up paying $9.99 for these. I was also able to get my boyfriend some really cute clothes. I love when he wears dark (black) and light (white) colors. I think I've bought him enough dark colors that I chose to get one of each this time. 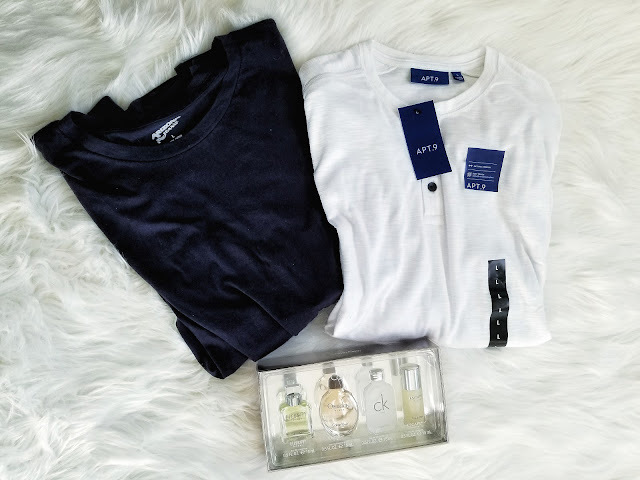 I also bought him a Calvin Klein cologne set, which all together, with my coupons and discounts ended up being under $50 (without discounts, it would have been over $150). P.S. He loves that I have my coupons & discounts and thinks I'm cute for saving money... I love that guy! JcPenney also ended up being on the list and I was able to find more deals there. Well, my mom was. I didn't really shop much and it's only because I didn't really find a lot of clothes that stuck out to me. There were more deals at JCP than at Kohls and everywhere you turn, there was some discount to some clothes that was applied. I found 2 nice blouses and a sweater for myself. The blouses will look good for work or some kind of job interview if I were to stumble upon one. Yes, they are sleeveless, however, paired with a nice blazer, that won't even be noticeable. Oh also, we were each able to get an in-store coupon for $10 off of a $10 purchase. I love this green blouse I found because the shade of green really caught my eye. The patterns on the sleeves and on the shirt really stood out to me. It is more of an emerald color and for some reason, I told myself I had to get it. I also wanted to get this Worthington Volume Sleeve Shirt, but I ended up not. If I could go back in time, I would have gotten it. I went back and forth because I love the color but I wasn't so sure about the thickness and texture of the shirt, so I ultimately decided not to get it. I think if I didn't have as many shirts as I do, I would have bought it. There are currently 14 reviews on their website with a full 5 star rating, so I say it's worth getting. 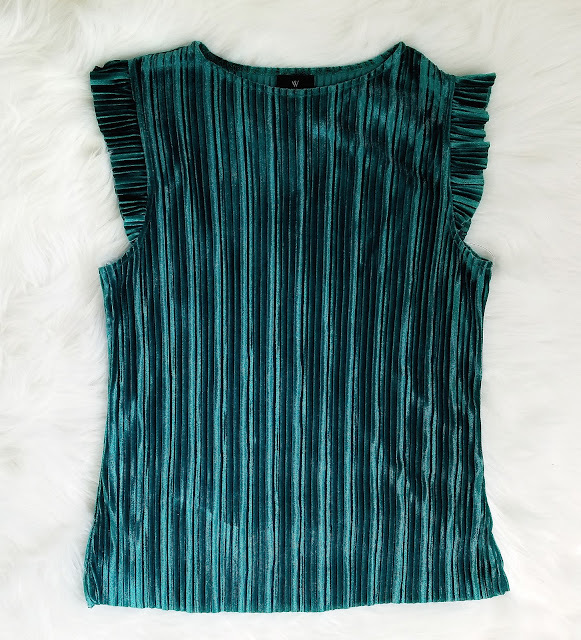 The one I chose to get, pictured below, is the Worthington Pleated Velvet Top in the color Bold Emerald. Like I said, the patterns and color stood out to me the most. I think this would be a great shirt to wear to an interview, over the summer, or even during a vacation. I also got this light pink sleeveless blouse. I think it's absolutely adorable and professional. If I had to go to an interview, I would chose this one with a black blazer. They didn't have my size, medium, so I had to go up a size, large, and I think it still looks cute. I am going to be honest and say that it is quite bigger on me, but I still chose to get it because I liked it so much. It was on sale for about $11 so I chose to buy it. If you would like to see it, it's the Worthington Woven Tank Top in the color Blush. It's really thin material, despite the name of it. There is a very thin, almost sparkly layer, a more thicker liner shirt, and then the same sparkly thin layer on top. I would absolutely also wear this in the summer time, as it is quite thin material. Finally, I got the St. John's Bay Long Sleeve Crew Neck Pullover Sweater. I saw it because it was on sale for only $9!! There were many colors to chose from but I wanted the Ivory Lurex one. It does have sparkles in it, but I'm totally okay with that. They have 19 colors to chose from and are currently on sale for $9. 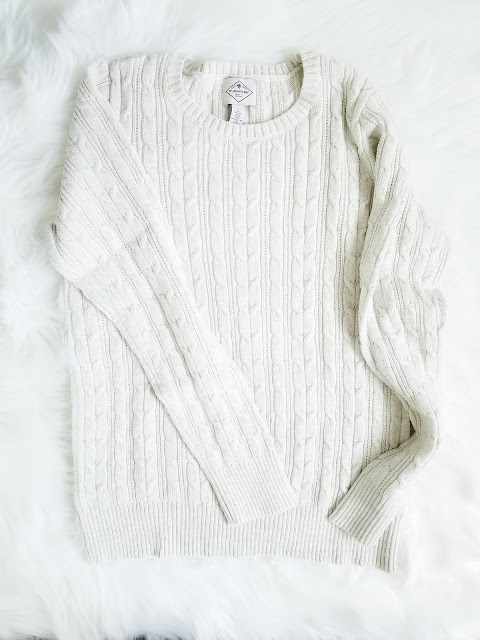 I would pair this with some leggings and cute boots. I recently went on a date with my boyfriend downtown and paired this with leggings and the boots mentioned above (The picture is below). I know they are slippers, however, I am using them as outdoor shoes because they're really comfy. I think they would be great to wear when it's a little bit chilly, but not wet. Even though I sprayed them, I won't be wearing them when it's wet so they can last longer.